This month I finished two haircare products. I have lot of products so I used them for more than six months. One is Syoss Glossing Shine-Seal Conditioner. I do not know or it is intended to use everyday or not. I liked it, and I used it twice a week as conditioner. I have pretty oily hair, especially during the summer, so I wash my hair every two days. The rest of time I was using conditioner from Natura Siberica (still using) and Keune Care Line Intensive Hair Repair. 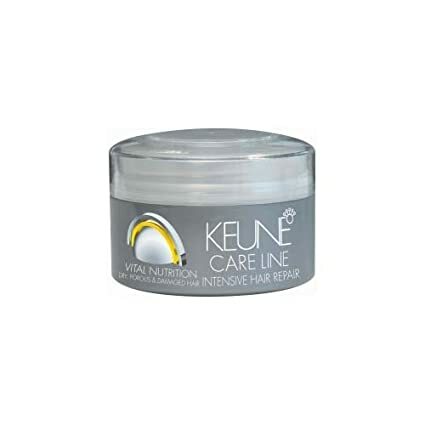 After using Keune hair mask, my hair was so soft. You have to hold it in your hair for five minutes and then rinse it out. I used it once a week, mostly on Sunday evenings. It will last so long, because you do not have to use it much, as it is very easy to apply to long hair too. People who are around me, knows that I do not use face make-up lot, but I can spend a lot of money on haircare products. I tried to find Syoss conditioner on amazon, but I didn't find it, so if you want it you will have to stand up and go to check your local store. When I bought mine, I asked shop assistant if they have shampoo to, and she replied that they never had. So keep looking!